Day of Learning — Sneak Peak! 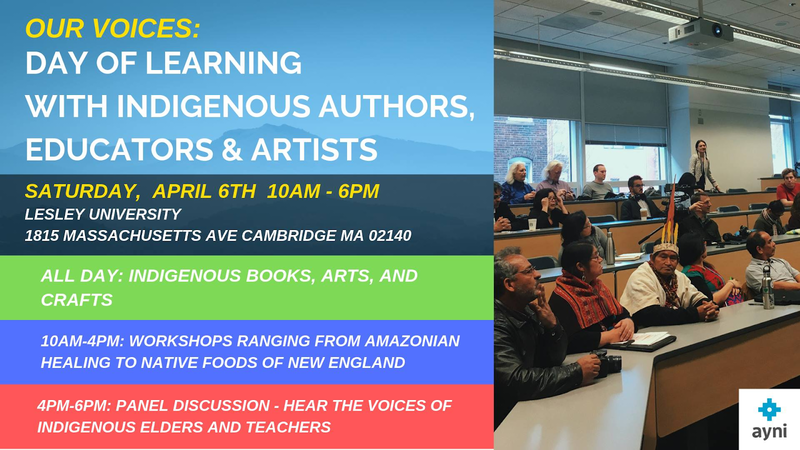 We are so excited about the Day of Learning with Indigenous Authors, Educators, and Artists coming up this Saturday, and we are so grateful to everyone who has already committed to attending and supporting this event so far. 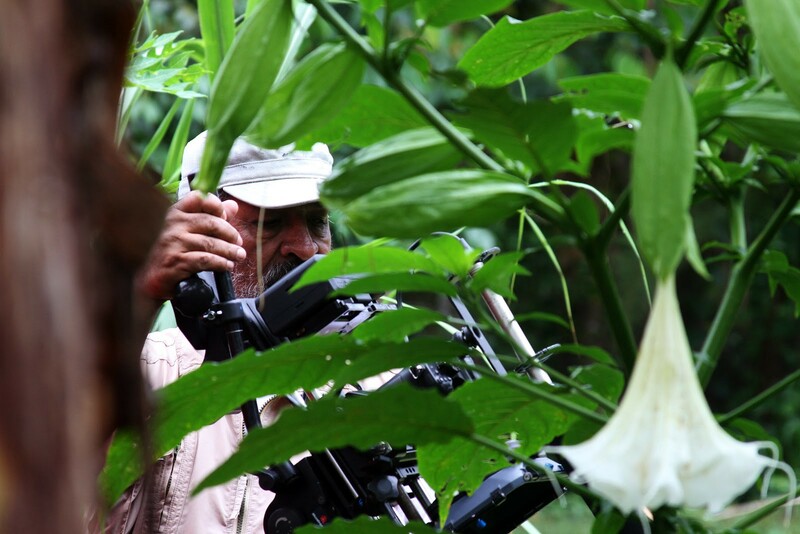 The Ayni Institute is guided by four indigenous elders in Latin America who we collaborate with to develop trainings, documentaries, books, and more for the public. Our elders have given us their blessings to share some of their teachings at the Day of Learning, which we will be doing throughout the day on Saturday, April 6th. Here’s a sneak peak! Experience the Amazonian worldview and perspectives on healing! 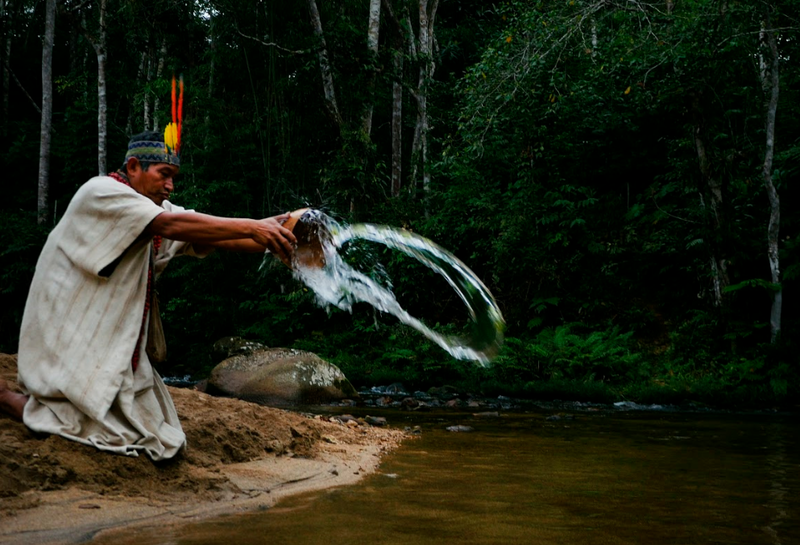 In November, 2018, Huachipaeri and Machiguenga elder and healer Alberto Manqueriapa joined the Ayni Institute for a five-day intensive training on Amazonian healing. In this workshop, we’ll share with you the basics of the Amazonian worldview, including the Four Great Teachers (Universe, Mother Earth, Water, and Forest), how Alberto’s people heal in collaboration with the Four Great Teachers, and the role of community in the Amazonian worldview. Discover how our elders Jose Huaman Turpo and Alejandrina Calancha are working to keep the memory of indigenous communities alive — and how you can too! 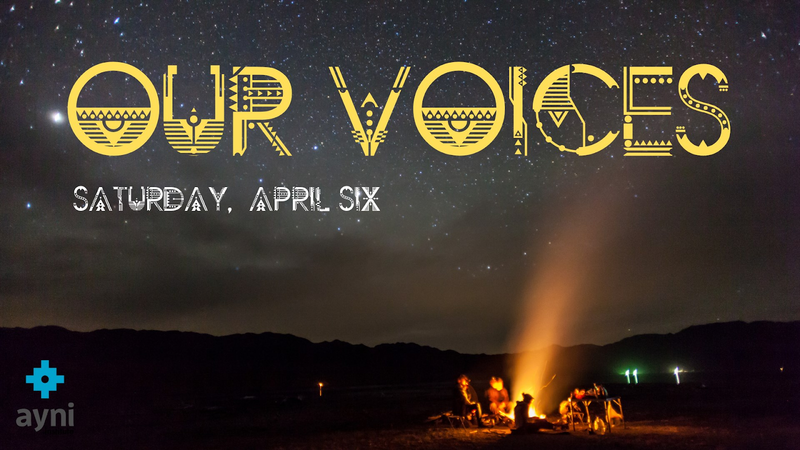 In April, 2018, Jose and Alejandrina joined us at the Yachay Seminar for the international premiere of “Voices that Heal.” This is the third in a series of nine films planned to document the wisdom and culture of indigenous communities in Latin America, told in their voices. In this workshop, you’ll get to know native communities of South America through films! Our elders will also be joining via video to answer questions and share more on how they work to keep the memory of indigenous communities alive. Immerse yourself in the Andean worldview and how it has been expressed through symbols across 10,000 years! In addition to his design work, Zadir has written several books about Andean symbolism and its expression in ancient sanctuaries like Machu Picchu. Zadir is taking this information on the road throughout Peru in the form of a mobile museum, and he has sent us pieces of the museum in English! 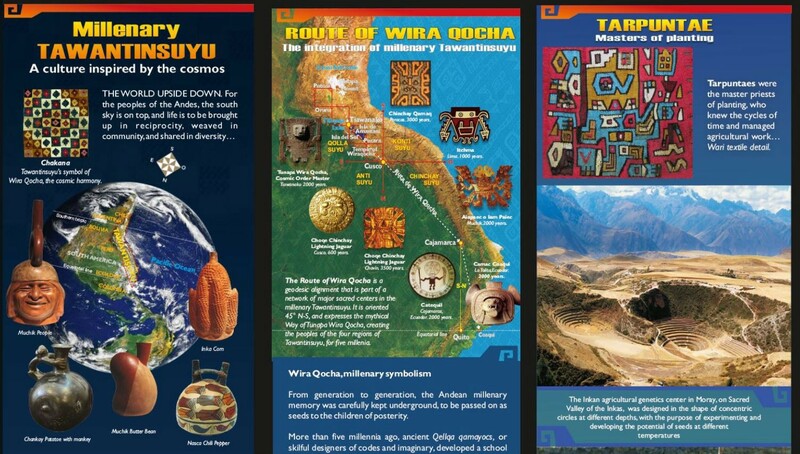 We’ll explore how the ancient Inkas aligned themselves with the Earth and the Sky, and we’ll learn about some important Andean symbols like the chakana (southern cross), crossed arms, the jaguar, and more! Join us on Saturday, April 6th, 10am — 6pm for these introductory workshops and more!